Details about Konami Yu-Gi-Oh! 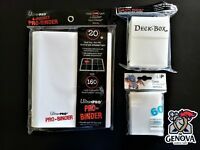 Secrets of Eternity 24 Pack Booster Box Yugioh 1st Edition New! Konami Yu-Gi-Oh! 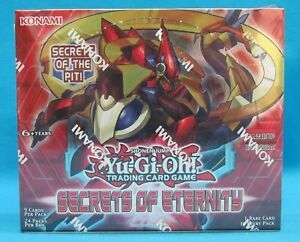 Secrets of Eternity 24 Pack Booster Box Yugioh 1st Edition New! Yu-Gi-Oh Secrets of Eternity Super Edition ( English Edition ). 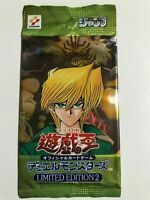 100 YUGIOH FOIL RARE HOLO CARDS COLLECTION! FOILS ONLY! YUGIOH CYBER DRAGON DECK! 55 CARDS! CYBER END INFINITY NOVA MEGAFLEET & MORE! SHIPPING Will be sent at price in description for US ONLY. All customers outside the U.S., please contact us for shipping pricing before bidding and wait for an invoice before paying. Note that we ship on Tuesdays and Fridays only. Thank you. My son happy with the box. Excellent collection! My grandson will love them!